Black Philanthropy Month founder Dr. Jackie Copeland-Carson (right) with Veronica Hemingway of Coastal Community Foundation at a BPM 2017 event hosted by W.E. Giving Circle in Columbia, SC. Black Philanthropy Month (BPM), held every August, was created in August 2011 by Dr. Jackie Copeland-Carson and the Pan-African Women's Philanthropy Network (PAWPNet) as an annual, global celebration of African-descent giving. Recognized by the United Nations as part of its Declaration of 2011 as the International Year for People of African Descent, and declared by Congressman Keith Ellison, with proclamations from Minnesota’s governor and the mayors of Minneapolis and St. Paul, we invite all Black communities and their allies to take August and beyond to promote the power of giving to transform lives. In 2013, a widespread and concerted effort began to invite public participation in a wave of high-impact events, media stories and service projects. Expanding each year, the BPM civic engagement and awareness campaign occurs online and in communities with local and global dimensions. Primary aims of BPM are informing, involving, inspiring and investing in Black philanthropic leadership to strengthen African-American and African-descent giving in all its forms. A new organizing concept frames the BPM campaign each year. The theme for 2018 is: For the Culture, For the Future. BPM officially launches August 1. You can follow happenings throughout August via social media with the hashtag #BPM2018. For the rest of the year, follow #BPM365. Dr. Jacqueline Copeland-Carson founded Black Philanthropy Month in 2011. Carson is also the co-founder of Pan-African Women’s Philanthropy Network (PAWPNet), a global association of African-descent and allied women leaders, donors and activists of all backgrounds. With members from throughout the US and 30 other countries, its purpose is to strengthen philanthropy, social investment, volunteerism, activism and advocacy to promote the future of African-descent families and communities. For more information and to become a PAWPNet member, visit PAWPNet.ning.com. 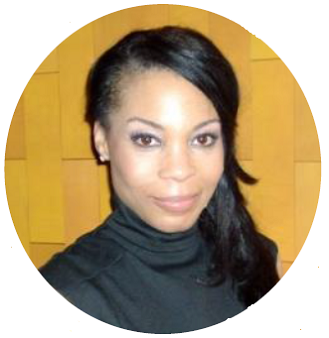 Tracey Webb is the founder of Black Benefactors, a giving circle based in Washington, DC that provides grants and in-kind support to Black-led organizations serving the African American community. Webb has been hailed as the first online chronicler of Black philanthropy as the creator of BlackGivesBack.com, a pioneering blog that highlighted stories of Black giving from 2007-2015. She has been featured in national media and is the recipient of several honors and awards. Learn more about Black Benefactors and become a member at blackbenefactors.org. Valaida Fullwood is a nationally known writer, public speaker and project strategist. She is author of “Giving Back: A Tribute to Generations of African American Philanthropists,” an award-winning book chronicling traditions of giving in Black communities. In 2014, she was selected Lake Distinguished Visitor by Indiana University Lilly Family School of Philanthropy. Valaida is a founding member of New Generation of African American Philanthropists, a Charlotte-based giving circle that launched the Giving Back Project. It is a civic engagement initiative that reframes portraits of philanthropy through the arts, stories, culture and conversation. The newest dimension of this work is "The Soul of Philanthropy," a touring museum exhibit. Find out how to engage at givingbackproject.org.